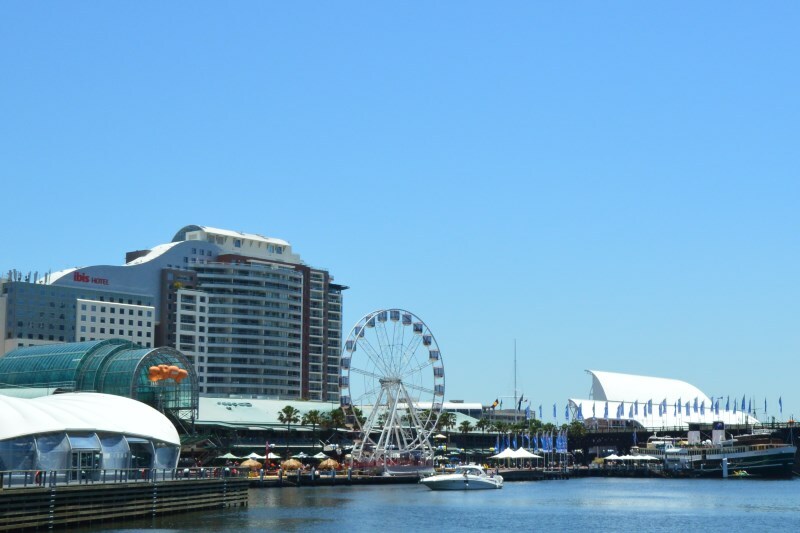 Darling Harbour, being Sydney’s premier entertainment district has quite a few places to eat and drink, whether you are looking for a formal dining experience or a tasty snack. Serving rare and seasonal beers, they also do great Australian pub grub to go with their wide range of drinks. From finger food for sharing to more substantial meals to keep going, designed to enhance the over sixty local and imported specially crafted beers as well as house brew beers. Whether your preference is for a stout, earthy ale or a light but tasty import, you are sure to find something that will please your palate. This all-day dining bistro and bar located in the Parkroyal Hotel at Darling Harbour has a menu that is inspired by high quality fresh local produce made into elegant, yet approachable, dishes. They do a range of brilliant meat dishes, including Flinders Island Rump of Lamb, Riverina Rib Eye, Grainge Tenderloin and Tajima Wagyu Sirloin. Using locally source prime cuts that are grilled to perfection is what they at the Waterfront Grill take pride in. They also cater for vegetarians with fresh vegetables delivered every day of the week. They receive consistent reviews of the quality of the food served here as well as the service. They also do breakfast. Located at the Star, the Balla serves modern interpretations of authenic Italian dishes, cooked over a wood fired grill. Enjoy antipasti, finger food at the bar or street food, made from fresh locally sourced produce. they also have a wide range of wines from Italy and Australia as well as beers and cocktails. Serving Cantonese cuisine, this award winning restaurant has the same menu as its parent restaurant, the Golden Century restaurant in nearby Chinatown. At the Century, they do great Yum Cha, made fresh as well as live seafood and traditional Cantonese dishes. Open for lunch and dinner, their steamed-to-order Yum Cha is served from 12 to 5pm. The premium live Australian seafood available from the tanks on display including Rock Lobster, Abalone, Tasmanian King Crab Snow Crab, Mud Crab, Wild Coral Trout, Red Morwong, Barramundi and Pippies. Food inspired from the cobbled streets of Naples in Italy. Open for breakfast, lunch and dinner, they also do specialised cocktail and pizza making classes, they even do a pizza making class for kids. Traditional and signature dishes include Fettucine Gamberi, Rib Eye on the Bone and a brilliant range of pastas. Their pizzas are wood fired for an authentic taste, made in flavours from Naples. Do try the Calzone. Panasonic Imax - 2D and 3D movies on a huge screen. Presently being rebuilt into a newer and bigger complex with what is claimed will be the world’s biggest screen (2019). Chinese Garden of Friendship: A peaceful garden setting of ponds and waterfalls. Given by the Guangdong province it celebrates the contribution of Chinese culture to our way of life in Australia.